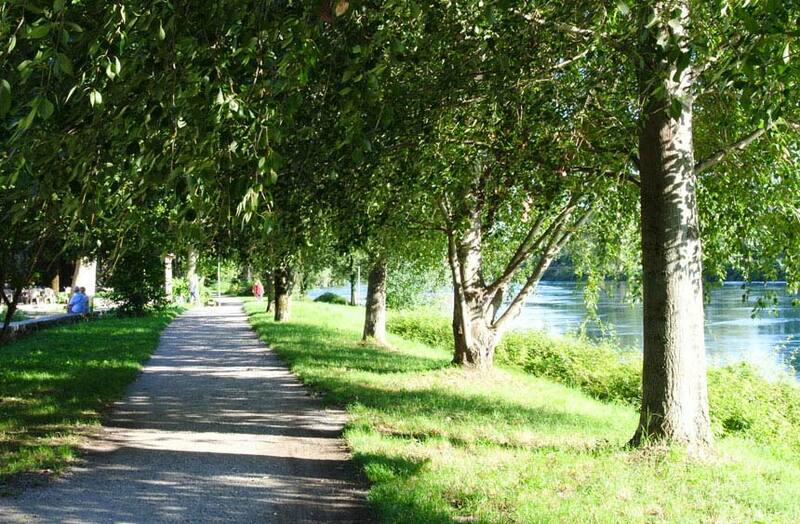 Let you shroud by the quiet atmosphere of the Adda river completely immersed into nature. 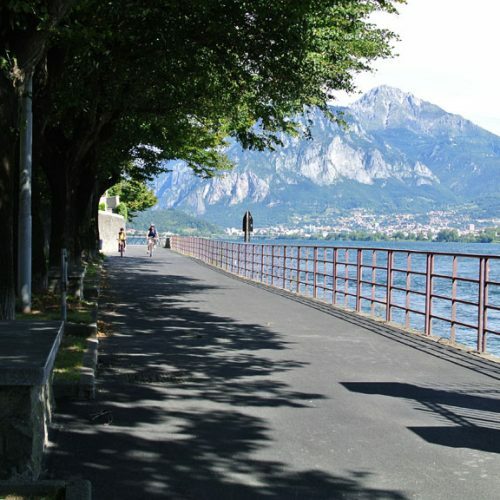 You can take this cycle path wherever you like, we suggest you from Lecco from the bridge Azzone Visconti, on the shore of Lecco or Malgrate either way it makes no difference because it is in fact a cycle ring. 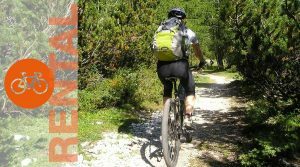 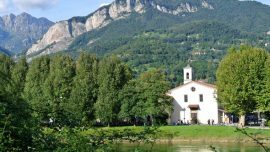 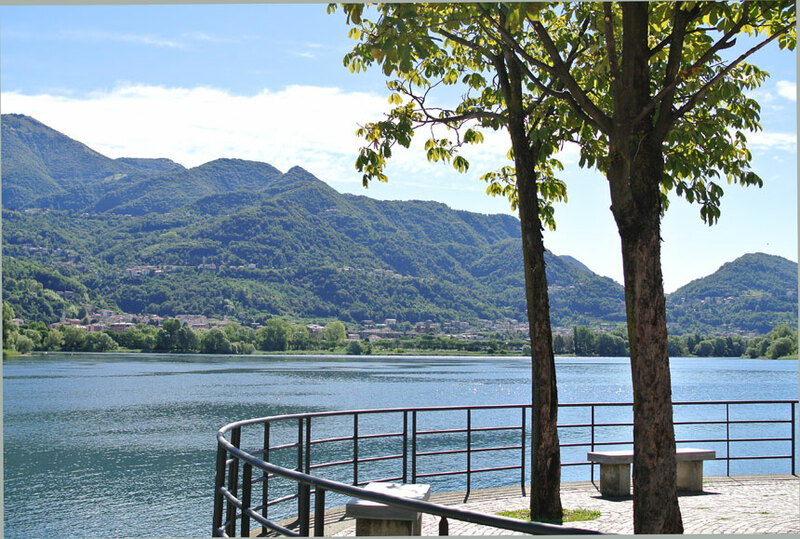 It offers you extraordinary landscapes and views: mountain Resegone behind the fishing village of Pescarenico, Monte Barro, the Lake of Garlate and Lake of Olginate. 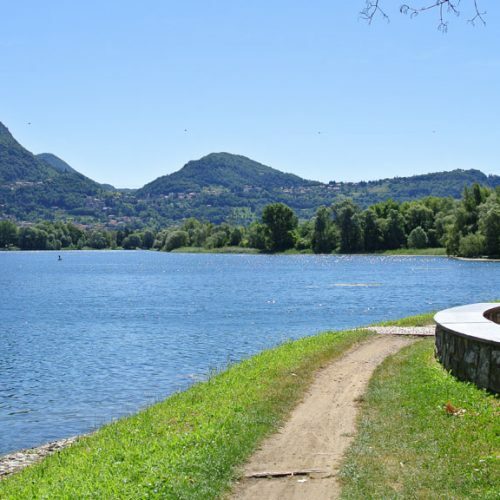 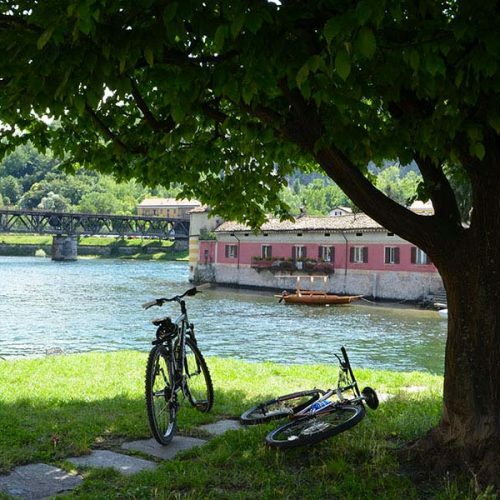 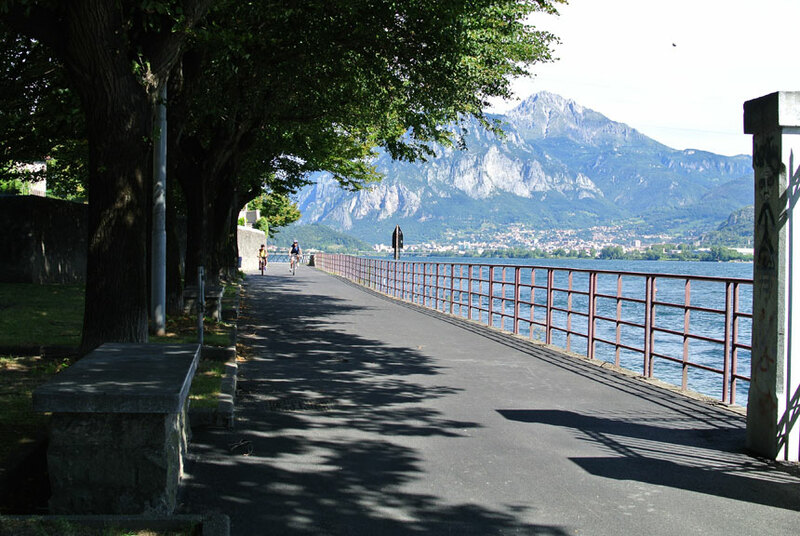 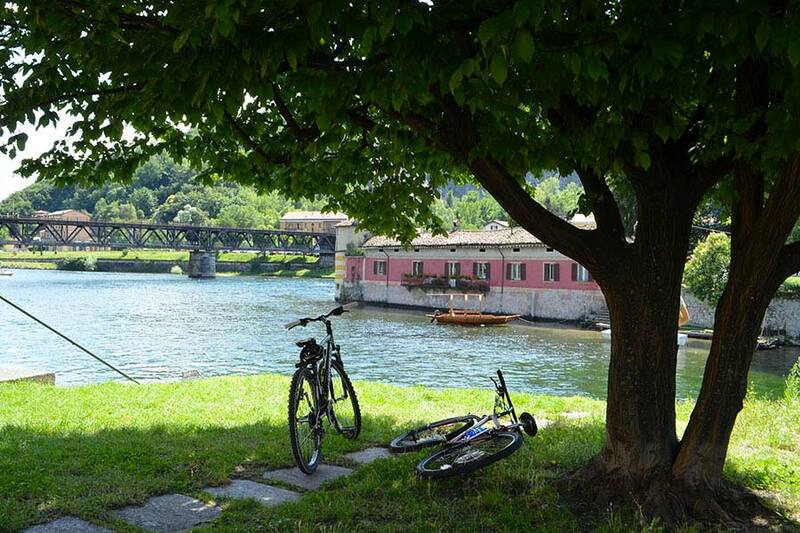 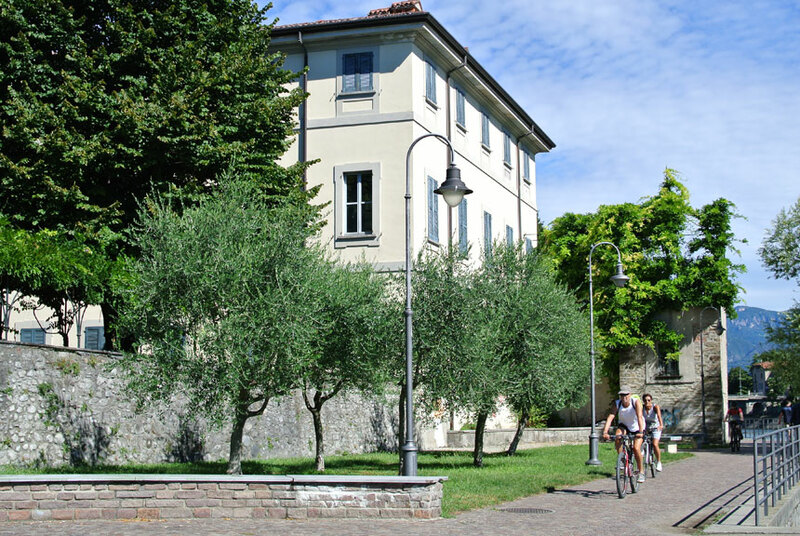 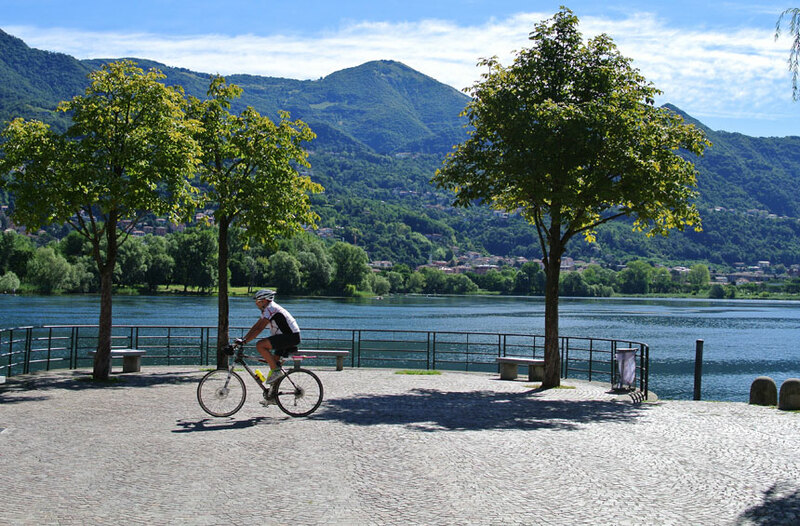 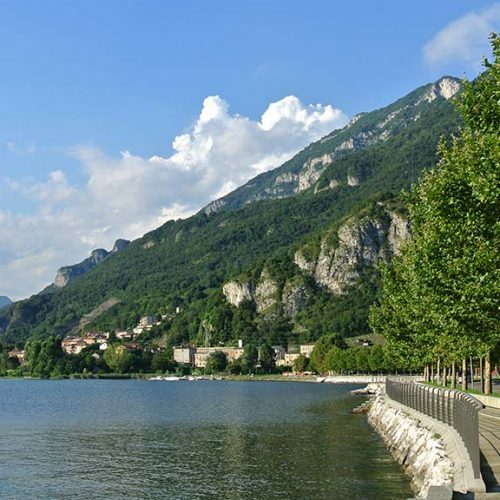 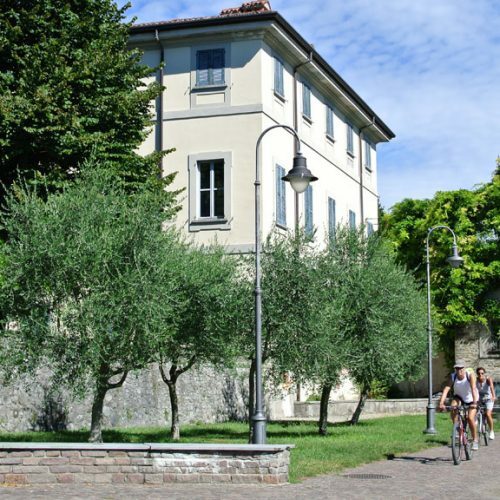 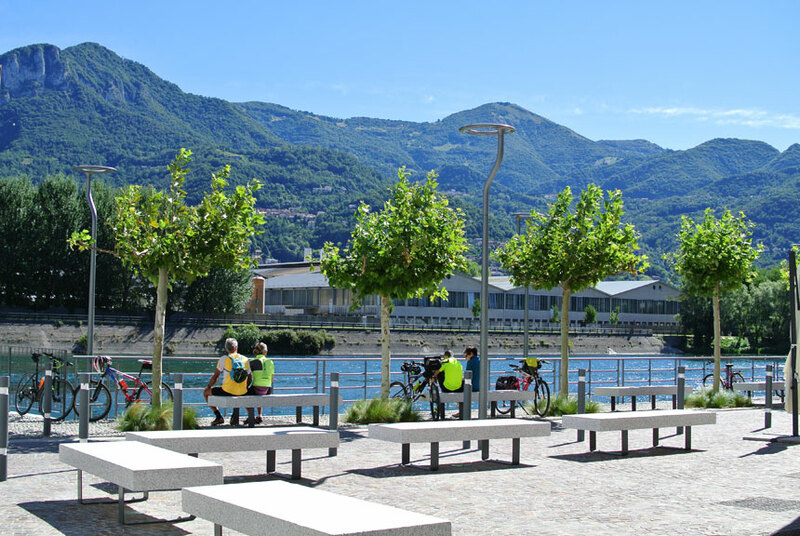 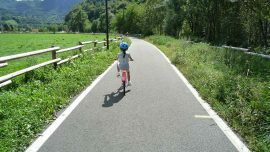 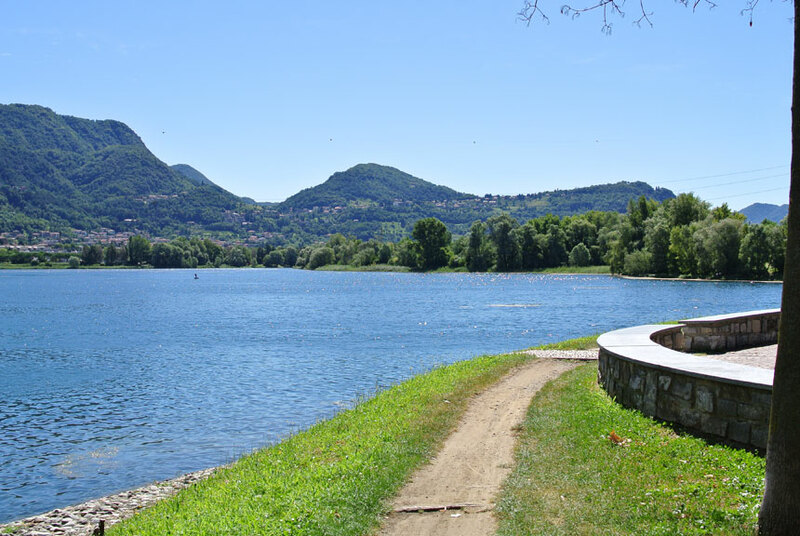 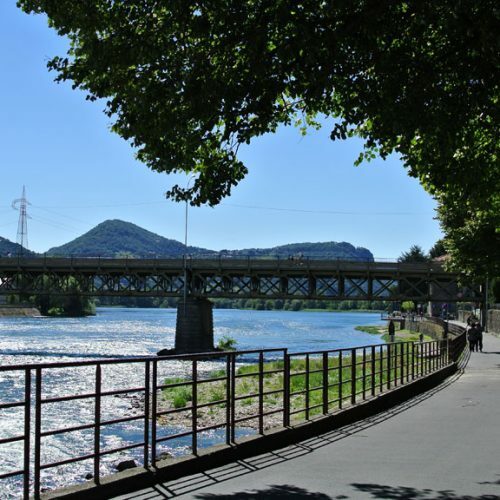 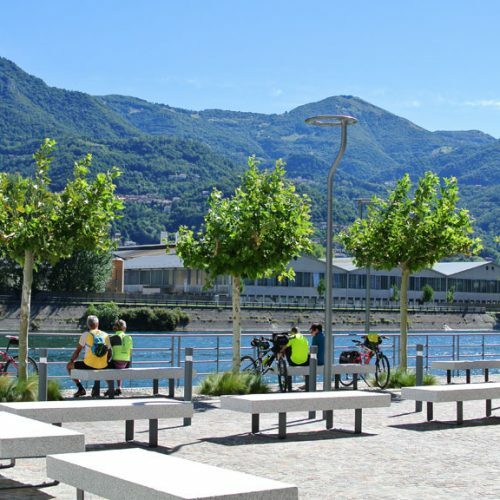 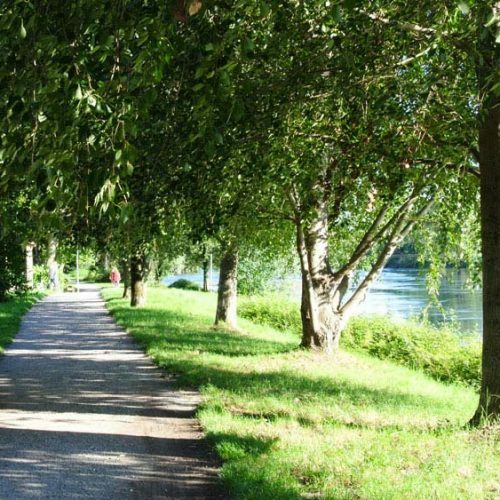 This cycleway allows you to start and arrive to Lecco without taking your car. 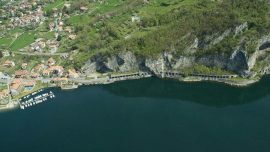 You can decide to start from the Lecco’s shore or otherwise cross the Azzone Visconti bridge and take it on the Malgrate’s shore. 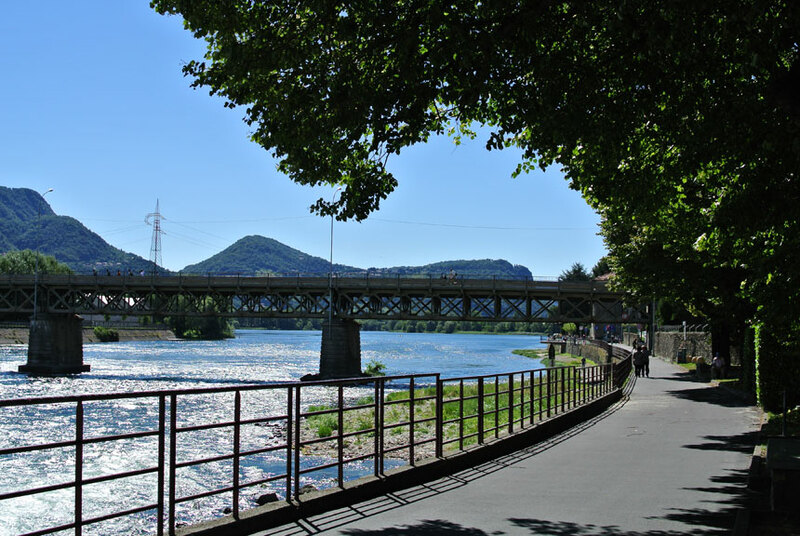 In any case you cross the Adda River on the eco-friendly restored Trail way Bridge between Olginate and Calolziocorte. 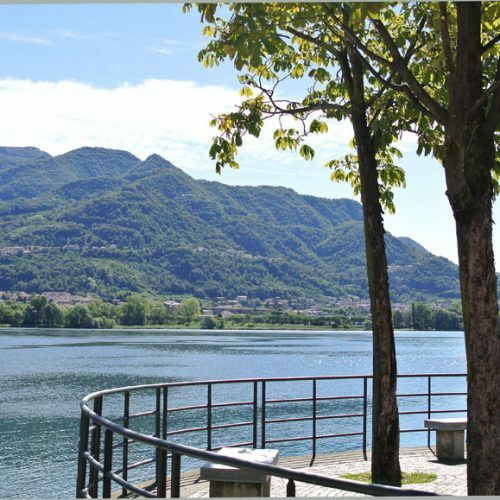 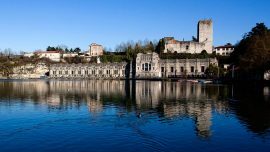 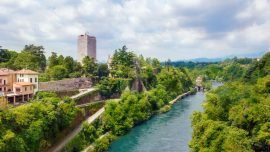 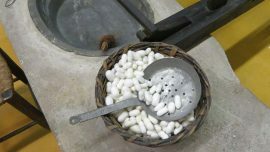 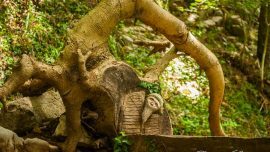 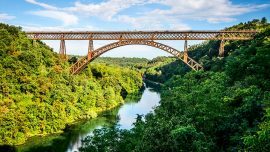 Along the itinerary you discover historical and cultural places, among which the Abegg Silk Museum in Garlate and the Monastery of Lavello in Calolziocorte, together with many pic-nic and relaxing areas and amusement parks for kids. 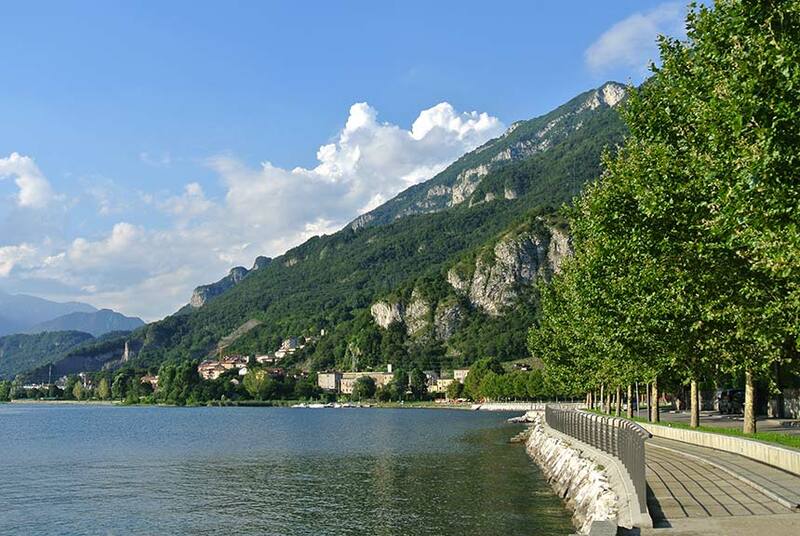 Note- In the morning the shore of Malgrate, Pescate, Garlate is sunny, on the contrary in the afternoon the shore of Calolziocorte, Vercurago, Lecco is sunny.